Nepal tour with soft adventures of gentle trek and rafting. 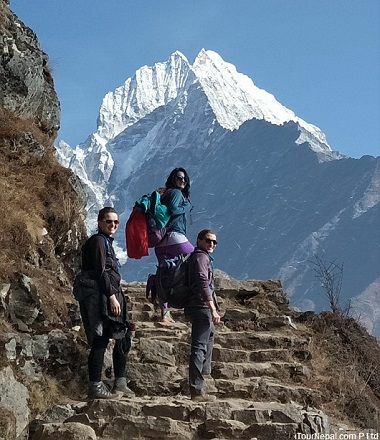 Organize the best family friendly tour and trek in Nepal. 21 days tour with best of three Himalayan countries. 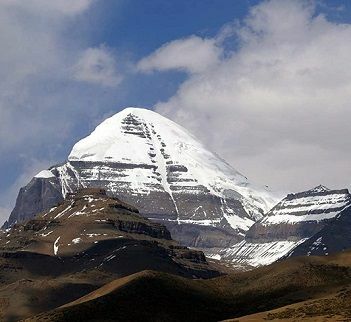 Join group or organize private Tibet tour. 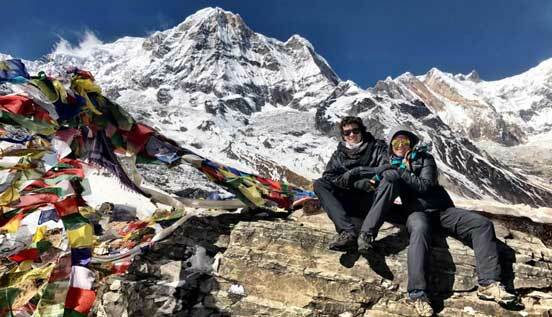 My brother and I went on the Mardi Himal trek through I Tour Nepal. 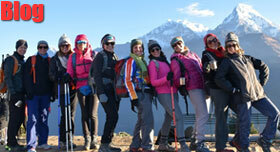 Rabi organised the trek and was attentive and professional by email prior to arrival. He also ensured that all transfers were smooth and that we were kept well informed throughout. During our trip, our guide was Dil and porter was Prabin. They were both fantastic company: knowledgeable, fun, friendly, helpful, and just genuinely marvellous people. Dil has decades of experience and was very responsive to our needs throughout the trip (both from minute to minute and day to day). 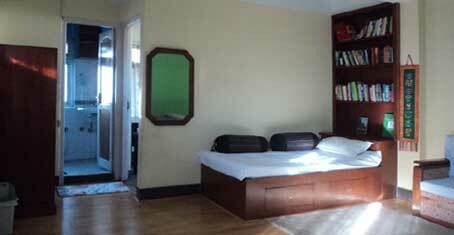 It just takes 4 extra days to visit Lhasa while you are in Nepal. Lhasa is the religious and cultural center of Tibet. The flight is panoramic thrill traversing the Himalayas. Potala palace, Jhokhang temple, Sera and Drepung monasteries still the object of pilgrimage for thousands. $ 1,850 for group tour on 23 Sept. 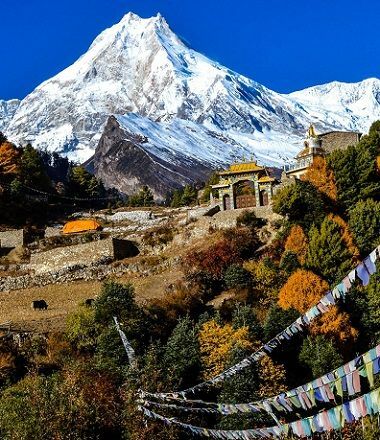 Follow the trans-Himalayan trade route to Lhasa from Kathmandu, Nepal. Feel the dramatic change of landscape. Cruise through the high Tibetan pastures to Everest north base camp. Shigatse, Gyantse and Lhasa are cultural and historical center of Tibet. The tour could be custom made with private departure dates. 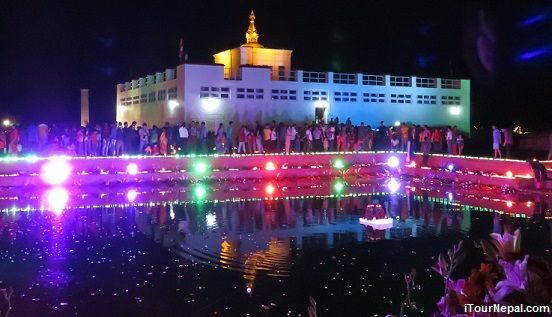 * Visit Chitwan, Pokhara and Kathmandu. 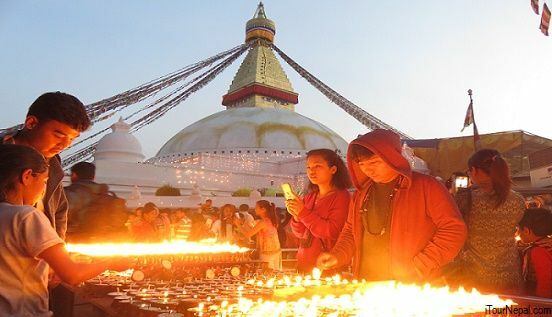 Short detour or extension to Bhutan could be organized with your inbound or outbound Nepal flight. 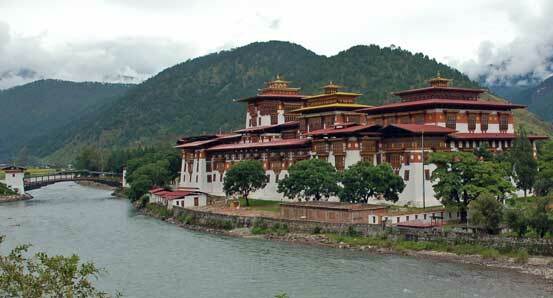 3 nights Bhutan tour includes its major cultural and heritage center of Thimphu and Paro. 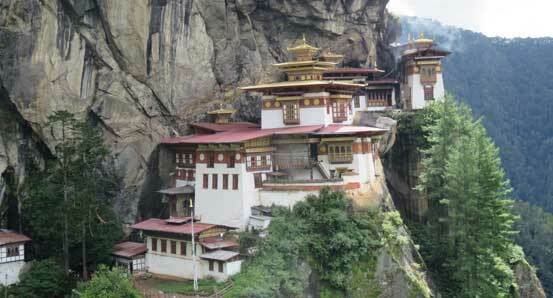 Hike to Takstang Monastery (Tiger’s Nest) is the highlight. 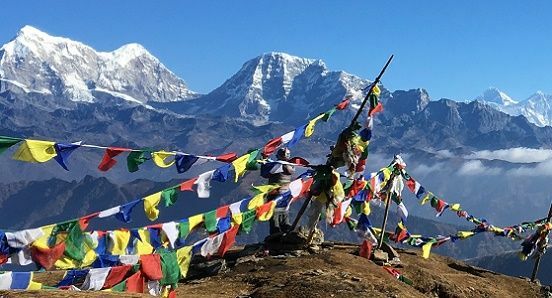 Most popular short trek in Nepal. 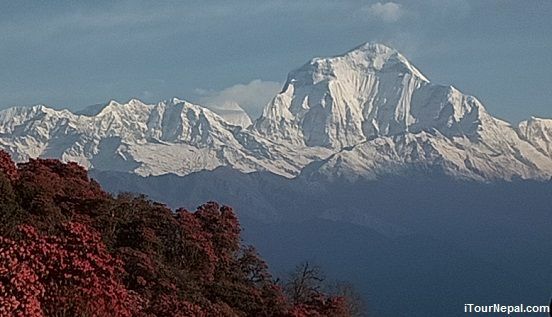 View of over a dozen snow peaks w/ three 8,000 m peaks. 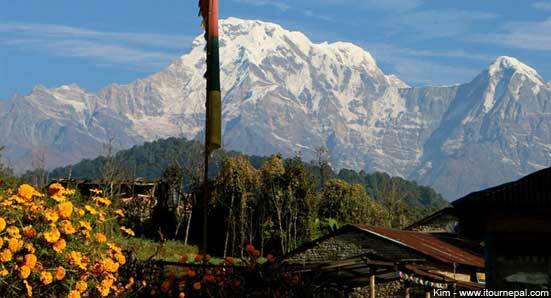 Trek through the world's largest Rhododendron forest & the villages of brave 'Gurkha' soldiers. 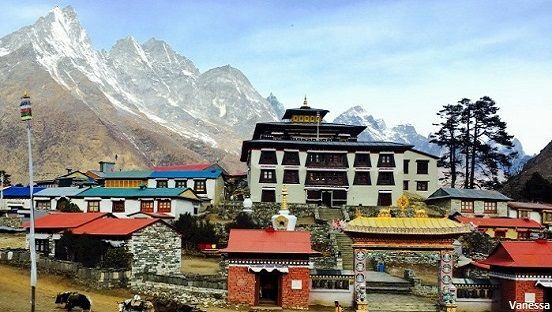 Pristine cultural trek in the lower Everest region for authentic Sherpa cultural encounters, Himalayan scenery and Everest view. New Teahouse trek customised for 3 - 8 days. 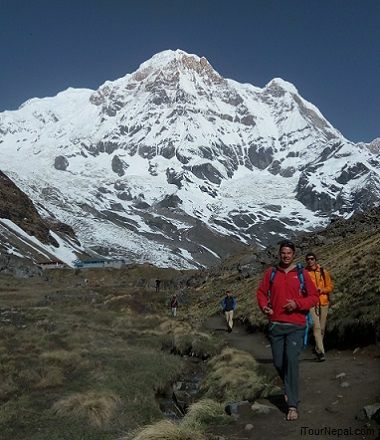 Short & scenic trek in Everest national park (UNESCO Heritage). 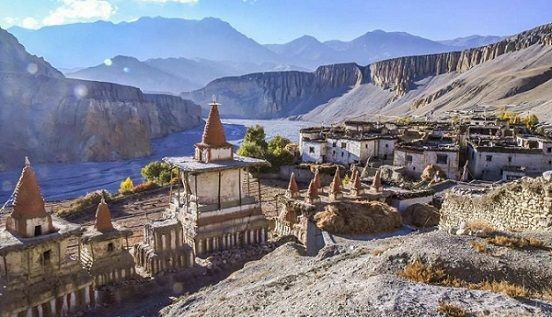 Walk through Himalayan Buddhist Sherpa villages w/ stay in deluxe or comfortable Sherpa style hotels..
Visit the traditional village in the foothills of the Himalayas and watch the tribal people harvest wild honey using traditional method. 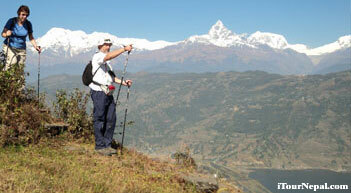 Extend your Nepal visit and go beyond city limits to stay with local people and learn their day to day life. 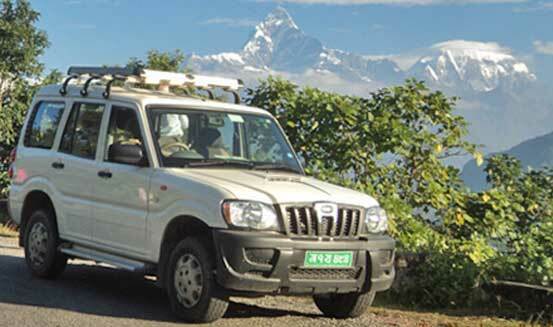 Everest sightseeing flight for USD 210 175 for February & March.. With Airport transport. 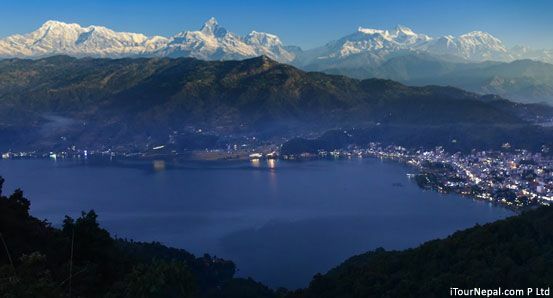 Fly Kathmandu - Pokhara for as low as USD 75 . Easy booking & cancellation.